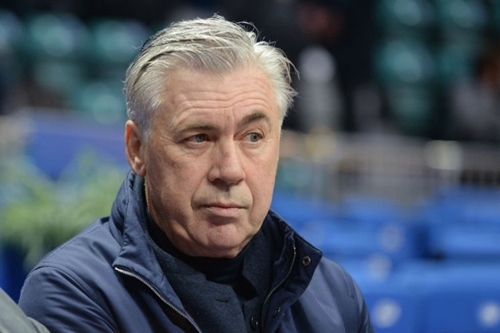 English Premier League club, Arsenal FC are reportedly lining up Italian tactician, Carlo Ancelotti as a replacement for embattled manager, Arsene Wenger who could leave at the end of the season. Arsenal are prepared for Arsene Wenger to leave the club this summer and are lining up Carlo Ancelotti to replace him at the end of the season, reports claim. The French boss came under fresh pressure after Arsenal’s miserable FA Cup exit at the hands of Nottingham Forest and club officials are aware that he may quit at the end of the current campaign. With the Premier League title seemingly beyond them and with Arsenal not competing in the Champions League this season, the chances of Wenger delivering major silverware seem slim and a loss to Chelsea in the semi-finals of the Carabao Cup would be a crushing blow for Wenger. The French tactician survived heavy pressure from the club’s fanbase last season by delivering the FA Cup and signing a new two-year deal, but the 68-year-old may not see out that contract. And Ancelotti is being eyed up as a serious candidate to replace him, according to the Evening Standard. The former Chelsea coach is viewed as having the required pedigree to lead the club forward and they are relaxed over the prospect of Wenger leaving. Ancelotti has spent time at Bayern Munich, Paris Saint-Germain and AC Milan, delivering major silverware wherever he’s been. The Italian is moving back to London next month, following his sacking at Bayern in September, and Chelsea are also keeping a watchful eye over him should relations with Antonio Conte sour.